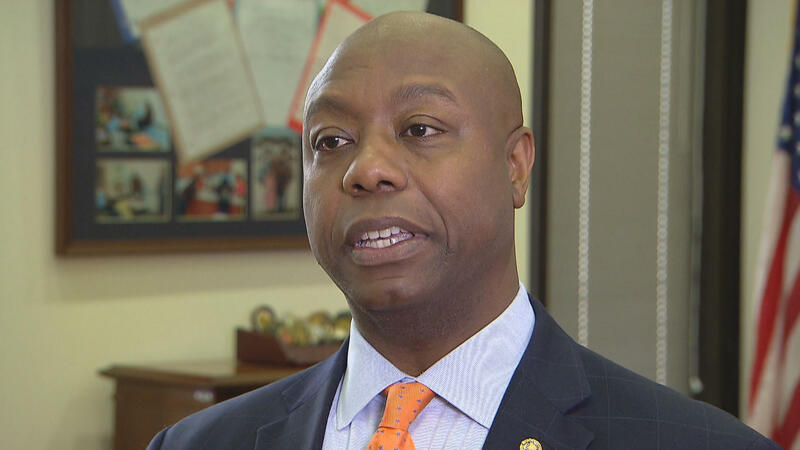 Sen. Tim Scott said Wednesday that while he thinks all Americans should stand and respect the U.S. flag, Americans should explore the issues that are causing people in the NFL to kneel. "I think we all should stand for the flag so I think that's what's without any question a strong position to be in...at the same time, we should ask ourselves, 'Why are people kneeling instead of standing?' We should support our flag and delve into the social and cultural issues that are driving folks to their knees," the South Carolina Republican said in an interview with CBS News' Nancy Cordes. Asked if he's reached out to the president, Scott told Cordes, "I have not because I think every time that there is a new iteration to the conversation on race doesn't mean it's necessarily the time to reach out to the White House." "I think that this discussion needs to be had by we, as the American family. Every single facet and community needs to participate in this process," he added. President Trump has spent the last week lambasting NFL players for kneeling during the national anthem during games. He said at a rally in Alabama last Friday that NFL owners should fire those players. The president has claimed that "many people booed" professional football players that kneeled during the Star-Spangled Banner last Sunday. And while he claimed that only a few players joined the protest, dozens of players across the league did so.